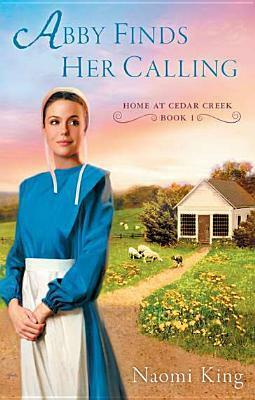 I have a couple of Advanced Reader books that are Amish Romances. Romance is always good in the summer. The cover's on the book are not the final product. Here are the books with their final cover as seen on Goodreads! 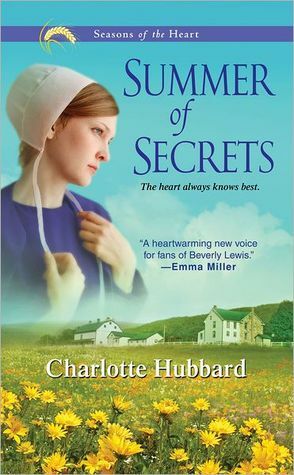 Abby Finds Her Calling by Naomi King and Summer Secrets by Charlotte Hubbard. I have linked both of the titles to my reviews. This contest if for a US address only. I have other International Contest running at this time. 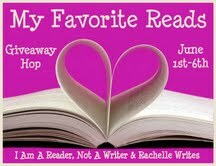 Please look in the upper right sidebar and enter all my giveaways that you qualify for! You cannot sell these books if you win, they are ARC copies and can be passed on, but not sold. Winner will have 72 hours to respond to the congratulatory email with US mailing address. Entry is through the rafflecopter form only. Please see my full giveaway policy to the right. Good luck and make sure to enter the contests on the other blogs participating in this hop. Picking out a favorite read is something that is VERY HARD for me. I have too many books that I love. One book does stand out at the moment, ask me tomorrow and it will probably be another book that comes to mind first. Anyway you look at it, this is a great book! This is an international contest. I will choose the least expensive method to ship depending on the country that the winner lives in. I will order a new copy of the book from Amazon or the Book Dep0sitory. You can live anywhere in the world that I can ship a copy of the book to you legally. Winner will have 72 hours to respond to the winner announcement email. Please see my full giveaway policy in the right side bar. 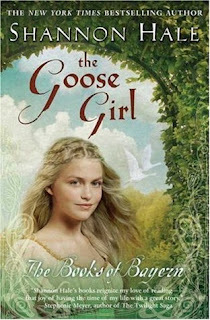 Book Description from Goodreads: When you control minds, only your heart can be used against you. 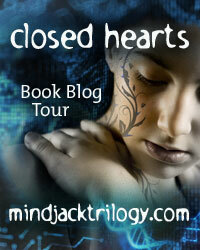 See the Mindjack Trilogy website (mindjacktrilogy.com) for more information. My thoughts: Kira should be considered a hero for her actions in the previous book, instead life has become harder for the mind jackers. she lives in a world where people can link and share their thoughts, except for her and a minority of the population who can control people's thoughts. The populace in afraid of the new strain evolving from their mind readers. She has moved and changed her name. Unfortunately she can not escape who she is and her past. It comes back to haunt her when she is forced to cooperate with a group of talented jackers, or else face the possibility of her boyfriend, Raf, being harmed. She is sucked back into a world she would rather leave behind. Forced to deal with many corrupt people who want to use her for their own gain. This book is very well written. 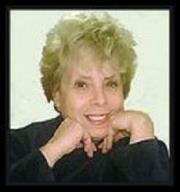 Susan Kaye Quinn was able to create a very visually viable culture. Her attention to the detail of the dystopian future is well thought out and very interesting. This is a wonderful sequel. I just found she has a short story written from Raf's point of view. It's called "Mind Games". I am very excited to read it and find out more about the characters of her imagination. This is a trilogy that is definitely worth reading. Giveaway! Susan is graciously offering an ebook copy of "Open Minds" or "Closed Hearts" depending on which the winner would prefer. 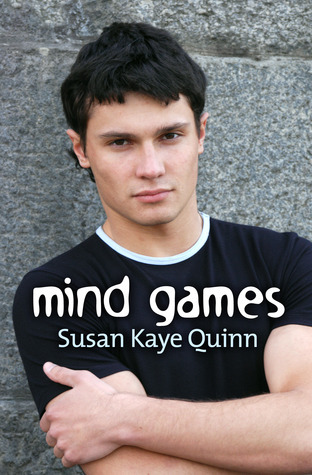 She will also be giving the winner a copy of "Mind Games" to the winner. Please enter using the rafflecopter. 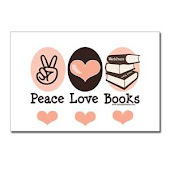 This is for an eBook copy. Contest ends on June 8th. 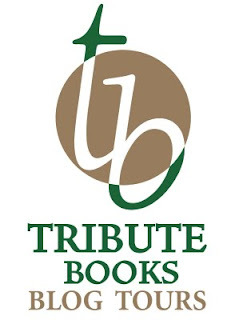 The winner will be notified by email and will have 72 hours to respond with their eBook choice. If I do not hear from him/her, a new winner will be chosen. Book Description from Goodreads: Convinced she’s a part of the witness protection program, sixteen-year-old Jewel Rose is shuffled around the globe with her family like a pack of traveling gypsies. After arriving at lucky home twenty-seven, she stumbles upon a mysterious boy with magical powers claiming to be her guardian . . . and warning of imminent danger. Despite the obvious sparks between them, Jewel discovers a relationship is forbidden, and the more she learns about dark, brooding Roman, she begins to question who she can even believe—the family who raised her, or the supposed sworn protector who claims they’ve been lying to her all along. My thoughts: Jewel and her family are in hiding. She has believed that they are running because her father is part of the witness protection program. Every couple of months, they relocate to a different city. She never is able to put down roots, make good friends, or become comfortable with her surroundings. She wishes more than anything to be a normal girl, able to participate in normal teenage activities. Her family makes a move to a new location just before her seventeenth birthday. She finally makes a friend and has a couple of love interests when her life implodes. She finds that her family has been protecting her all of these years. There are many who would like her dead, she is a witch who has the potential of being the most powerful witch. To others she is a tool to increase their own power and influence. Some covens want her and others want to destroy her. Can she live until her birthday? Who can she trust? These are the questions that she must learn the answers too. This story is quick to catch your attention. Jewel really is a likable character. She cares deeply and is not fully able to comprehend the predicament that she finds herself in. She is genuinely confused, she is loyal, and she is kind. There were a few moments in the middle where the story seemed to lag a bit for me. I also had a hard time with her feeling betrayed and quickly jumping to another guy. I guess it could be realistic. I just felt uncomfortable with that part of the story. The story is well written, I found a few grammatical errors that were not seriously problematic. This is a story with action, love triangle, friendship, revenge, jealousy. It's brimming with activities to pull the reader in. I must say that the butterfly metamorphosis is one of my favorite aspects of the story. Where can you find Shannon? The book is only $2.99 on Amazon kindle! Where can you find Ednah? Would you like to win an Amazon Gift code? 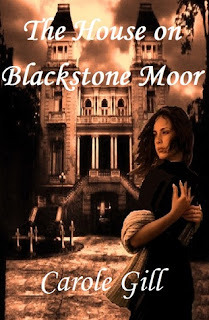 Blog Tour ~ Excerpt and G!veaway from "The House on Blackstone Moor"
Today I have the priviledge of posting an excerpt and a giveaway of "The House on Blackstone Moor". I was to include a book review also. I received all of the information in a timely manner, but I failed to schedule the book into my calendar. 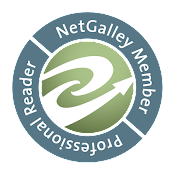 For this I sincerely appologize to Reading Addiction Blog Tours and to the author, Carol Gill. I will have a review posted by weeks end. I really feel bad that I dropped the ball. They say my father was mad, so corrupted by evil and tainted with sin that he did what he did. I came home to find them all dead; their throats had been savagely cut. My sisters, only five and eight, were gone, as well as my brother who was twelve. My mother too lay butchered in her marriage bed. The bed her children were born in. I discovered him first—in the sitting room lying in a sea of crimson, the bloody razor still clutched in his hand. He could not, of course, waken. No more was he to open his eyes in this world—had I not been struck mad, I would have realized. Yet, madness is sometimes a mercy when shadows come to take the horror away. Do not pull away in terror, please. I have much to confess. Just be patient, for I promise I will tell you everything. The only thing I ask in return is for you not to judge me until you hear my entire story. If I recall that dreadful night I remember it in confusing images and noise. People came and went. Gentle hands touched me, trying to soothe away the shock and agony—voices too, hushed and sad, told me things I could not understand. I probably said that, though I can’t be sure. Lucidity was not my strong point that night. I do recall someone carrying me out of the house to a neighbor’s house. We lived in Notting Hill then, having moved from Mayfair after my father’s illness—more about that later. The house was on Blenheim Crescent, a respectable house in a respectable neighborhood. Despite this, the grander environs of Mayfair were much remembered and longed for by my mother especially. My mother, who now lay caked in blood in her disliked rooms of Notting Hill. Dr. Arliss? Our physician. Was he there? People can’t be left around screaming, you understand. I hadn’t the sense to ask where I was being taken. All I can remember is being removed from my neighbor’s home. I couldn’t very well stay in my own home surrounded by the blood-splattered corpses of my murdered family, now could I? They half dragged me down the stairs and out into an icy rain. Dear, that was nice. I do believe I thanked her. Well I wasn’t right in my head was I? So polite, a soft refined voice heard at church socials. But not me. Churches and I never mixed. Of course, I would regret that. Restraints? It doesn’t affect me but that’s because it’s nothing to me, I’m not really there, you see. Well, not all of the time. I must explain something. These first hours following the carnage were a blur to me, really. I have only understood things over time. But that is better as I can tell you my story more clearly. I dozed, I think. Well, there was a pinch on my arm earlier and Dr. Arliss telling me he was giving me something to relax me. The wagon moved—clip clop down the streets for an indeterminable time, but then it stopped. A door opened and other arms reached for me. They were taking me into a building of some sort. I’m not sure if I asked that question, if I was able to. But if I was, I know I didn’t receive an answer. Why was everyone telling me it was alright when it was the worst time of my life? This was when I started to feel fearful. The rest of them? That didn’t sound nice. I needed help—had I been arrested? They didn’t think I did it, did they? I started to struggle, which was the worst thing I could have done. They dragged me away then. And as they did, I got a whiff of ether and disinfectant. Was I in a hospital? Maybe that was good. It was better than being in a prison! But why if it wasn’t a prison did I see a massive gate just ahead in the very direction we were heading for? And then a surly face along with clanging keys and the sound of locks being opened completed the scene. It was a smallish room, more like a cage than a room—far too small for all of the sad humanity that populated it. A sea of the most miserable and pathetic faces greeted me. Some were holding their sides and rocking back and forth, others were sleeping or crying. One or two were crouched against the scummy walls muttering to themselves. The realization hit me. They thought me insane! The pathetic creatures I found myself with began to repeat my cries. They didn’t do it to mock me I’m certain, but it was horrible anyway. At last I was quiet. I couldn’t stand their shrieking and if that wasn’t bad enough, some of them were filthy and smelled of the street and the gutter. I was there for a long time I think, crying quietly and dozing, too. An attendant came around a few times mostly to look in at us and saunter away, immune to our protestations or questions, mine included. I did finally sleep deeply. I don’t know for how long; all I know is that there was the unmistakable sound of jangling keys and the realization that the door had been opened. I picked my head up off of the filthy bench to see who had come in. It was a gentleman, that was obvious. He was looking over each of us. A burly man accompanied him. They kept whispering to one another. When he got to me, he raised the torch into my face. I put my arm up for the light was blinding. I almost asked him why. I think now looking back on it, I should have—things might have been different if I had. I was unwell, confused in my mind, yet there are moments I remember well and this was one of them. Before he led me out he spoke to the attendant. I am sure that was to ascertain whether she thought I’d be violent. Just to be on the safe side, she went along, her arms at her side but ready to go into action at any time. Most of these attendants were big-boned and tall, and could have easily been taken for men. It was a small room with a bench and some cabinets. It was filled with medicine bottles and books and things. I sat on a bench alongside the attendant with the doctor facing us. How singularly unimportant that was in the scheme of things. But I didn’t realize it then, I am certain I said I preferred to be called Rose. I noticed then that he nodded toward the attendant to take that as a sign for her departure. I was delighted. He was speaking to me and jotting notes down, too. I think I expected that. That, as they say, was the last straw for suddenly I collapsed in a paroxysm of tears and sobs. I think I was quite wild too and unmanageable. Everything became a pleasant blur but I did hear Dr. Bannion. I had questions I wished to ask him but since I didn’t feel as though he wished me to ask him anything, I didn’t. 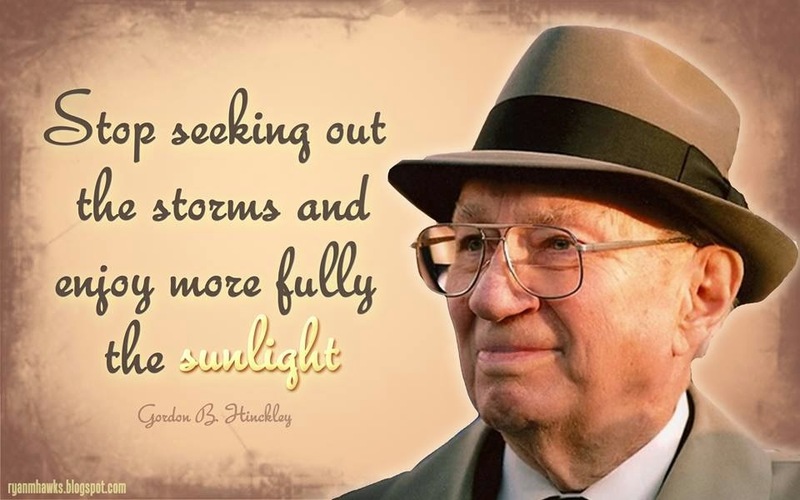 I wonder still what he would have said if I had. I remember bits and pieces of this day. I remember smelling the rain and him helping me into the carriage. The cab jerked forward to oblige. I had so many questions but not the sense or ability to ask them, for he had given me another injection before we left. In and out, sleeping one minute and awake the next. The cab stopped and we were there—Kings Cross. How comforting that was to hear. I began to trust him and to rely on him then. As for the trip itself, I can only recall it as a muddle of steam and groaning metal, of sharp whistles too, so loud I covered my ears. The calming voice, again. I smiled for I was comforted. The train screeched to a stop and we disembarked like two weary travelers nearing the end of an expedition. And perhaps it was, as it was a quest to get better… or so I thought. I was not prepared for the tumult. I cringed at the hustle and bustle of so many people rushing this way and that. 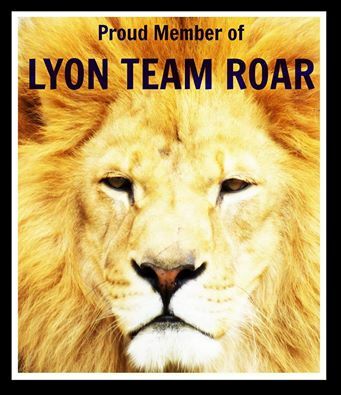 I was proud and felt my spirits soar. Asylum? A madhouse? Why hadn’t I asked, why hadn’t I known? But what difference could it have possibly made? “There it is, Rose.” he nodded, looking at me encouragingly. I had come home, at least for now. “It is a self-sustaining place Rose, more like a village than a—” The word hung on his lips, ominously. I nearly burst out laughing when he said that. I think I thought then that it was a sure sign of madness. I know now that it was proof of my being well. If my first impressions were less than favorable, the ones that followed were consistent with that—the place looked frightening, grim and forbidding. I hoped I wouldn’t stay long. I was, in short, prepared to lie if I had to in order to get out—whatever the cost to me. We stepped into a vestibule and then into the building itself. There was no high desk here as there was in Bedlam. Ah! Do forgive me, I am sorry! I didn’t tell you it was Bedlam, did I? Yes, the hospital I had just left was Bethlehem, infamously known as Bedlam. If I found it horrible, and I did, I now shuddered to think what it must have been like in its worst days. A severe woman, I took her to be an attendant, looked up in a most hostile manner. The water was hot and I nearly cried out. Thankfully, I didn’t. It seemed that my sense of self-preservation had surfaced to help me to cope. “It stings!” I cried, for this time I could not help myself. I began to cry then, for I could not help myself, though I tried not to be noisy about it. My skin felt raw and the shift was rough and irritated my skin yet, I neither cried out nor said one word. I am, if nothing else, a fast learner. After I was dressed I was told to sit. My nerves were pretty bad. Don’t be misled by the evenness of my dialogue. For you to appreciate the state I was in I think is impossible. Suffice it to say my moods were not static but ever changing, going from bad to worse. I was filled with doubts. I doubted if I ever would be well despite Dr. Bannion’s reassurance—yet I could not bear to even contemplate the alternative. The halls seemed to stretch for miles. There were terrible smells and the unmistakable scent of disinfectant that rose over them, trying unsuccessfully to mask them. Looking back on it now, I think she took great joy in telling me these things. I think she was sadistic. I was in time to hold that opinion about much of the staff. We passed many sad-faced and disturbed looking creatures. Some reached out to touch me as if greeting a long lost friend or relative. For the most part they seemed harmless, although I remained cautious lest one attack me. If I had any questions, the attendant’s stern manner and off-handed attitude ensured I would not pose them to her. Room! That did sound promising as I thought he might have said ward otherwise. I took a seat and he began at once. His desk was massive and filled with all manner of ledgers and papers and inkwells scattered about. Live? Was he joking? I may have been distraught and muddled in my mind but truly, I did have sense enough to know I would not in all likelihood be going back there ever again! That did it, as they say. The street! I saw them all then—dead. Butchered, covered in caked blood, blood that had turned their pale colored nightclothes crimson. The room was tiny, no bigger than a cupboard, but who was I to complain? After glancing around and smelling the place, I was more than happy to find myself alone. I stared at the closed door for a long time. I remember feeling so many emotions—sadness, upset, grief, fear but, most of all, dread. Yes, dread and fear are different. Dread is beyond fear, I think. Dread knows fear was correct in the first place and it just intends to sit and wait for the worst to happen, which will happen because dread, if nothing else, is sure of itself. So what did I dread? The answer is a great many things—but mostly I dreaded the future. Emotional pain is, I believe, worse than physical pain. No part of my body hurt, yet I was suffering more than I ever had in my life. Here I was, barely seventeen, without family. My poor Aunt Maude was soon to die, that was for certain. If that was the case, where would I go when I was well? I would need employment and a place to live, too. But who would have me? I couldn’t very well lie about my incarceration in an asylum. My father’s mad act ensured that what he did would be spoken about for a long time to come. But there was a daughter, dear—remember? Rose something, wasn’t she put away in a lunatic asylum? Sad that, but to be expected, wouldn’t you say? No point in lying, I was done for, without hope. Dr. Bannion could do as he liked but it wouldn’t matter. In a way this realization was calming, for hopelessness brought about resolution and closure. Perhaps there was no reason to dread anything! My life was as good as ended. With that in mind, I decided to go to sleep and if I didn’t wake up, what did it really matter? I fell into a heavy sleep but woke during the night. I had the distinct impression that someone had entered my room—no doubt a genuine lunatic. I recalled the words of the grim-faced attendant who told me about the violent ones who were kept in a separate building. Had they grown tired of staring at the cemetery? Had they in fact somehow escaped their ward and were now standing in my room watching me, ready to hack me to pieces? I did hear breathing. Not even breathing either, but heavy breathing—a man’s breathing. I heard him move. That is, I heard a footstep, then another. The breathing became louder—he was closer. No! Please go away. Don’t hurt me. Was this lunatic holding a knife or a razor perhaps? When would I feel the slashing? Suddenly, I felt fingers upon my neck. Not in a grip but softly touching me. No, not me, I realized—they were touching the collar of my shift to draw it down! And as it was pulled down I felt the chill in the air as my body became exposed. A hand then—hot, probably with misplaced passion, touched my breast, held it and squeezed it. Go away! Please, I don’t want your hand there! But there was more, much more—I felt his hand begin to reach under my shift. That was when I screamed. I screamed like I never screamed before. I yelled with all the strength I could summon and didn’t stop. An unending cacophony of shouts of anger and hurt, of grief and fear—all of it fueling my shrieks as if to bring the place down around me. He did, the familiar sting and the sensation of something warm began coursing through my agitated body, calming me. It was like heaven. I allowed myself to smile and I thought, at least it was a stranger. At least it wasn’t my father. I wrote my first story at age 8. It was sci-fi but as both my parents were sci-fi fanatics it wasn’t a surprise. I continued to write however life got in the way as it often does, and it wasn’t until 2000 that I turned back to writing. I joined a local writer’s workshop and was greatly encouraged to keep up with my writing and to send things out. Shortly afterwards, I was selected by Northwest Playwrights of England for further development but found I preferred fiction writing. Widely published in horror and sci-fi anthologies, The House on Blackstone Moor is my first novel. It is a tale of vampirism, madness, obsession and devil worship. Set in 19th Century Yorkshire, its locales include Victorian madhouses as well as barren, wind-swept Yorkshire moors. The story is a marriage of horror and gothic romance. I think it can best be described as being gothic paranormal romantic horror. I suppose you could say I want to put the Goth back into Gothic. Living in the area the novel is set in, was very beneficial. Also, as a great admirer of the Brontes and frequent visitor to the Bronte Parsonage in Haworth, I found myself nearly obsessed with recreating the gothic romantic narrative. Having been employed in a hospital which had been historically a workhouse and asylum in Victorian times, I was able to add great realism to the depiction of the asylums as described in my novel. The sequel, Unholy Testament, is the confession of a demon to the woman he loves. It is nearing the end of its first draft and will be released shortly. Today there is the opportunity to win an ebook copy of the book. Please enter using the rafflecopter form below. You must be 13 or older to enter. I will be passing along the winner's email address to another party who will get them the copy of the book. This contest will run until June 4th. It's only $2.99 on Amazon kindle! It's also $2.99 on Smashwords! Young Rose Baines discovers the savage murders of her family by her mad, incestuous father. Two #FREE kindle romance books available today! "Fateful" is #FREE today and tomorrow! "Witch Song" is FREE for 4 days only on Kindle! Graham Parke is launching his new book. 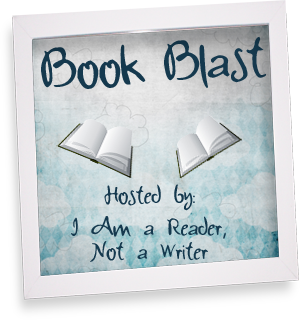 A Book Blast for "Elemental"